Your favorite digital photo has just found the perfect home on this Personalized Photo Tote Bag. 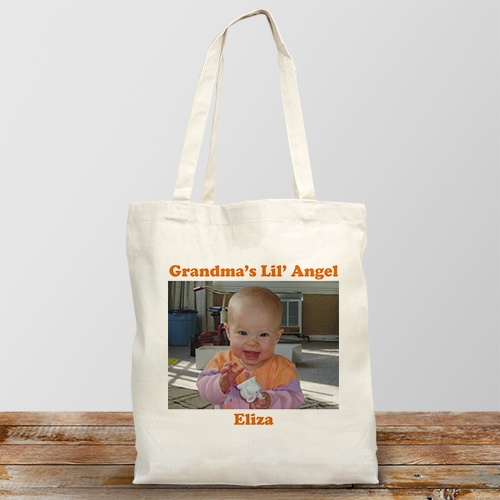 Show off your little angel, favorite pet or family portrait on our sturdy Personalized Photo Canvas Tote Bag. Please choose one of our premium 100% cotton canvas, machine washable Tote Bags. Includes FREE Personalization! Upload your favorite digital photo below. Please don't send any photos in the mail, digital photos only. Please enter description of photo. 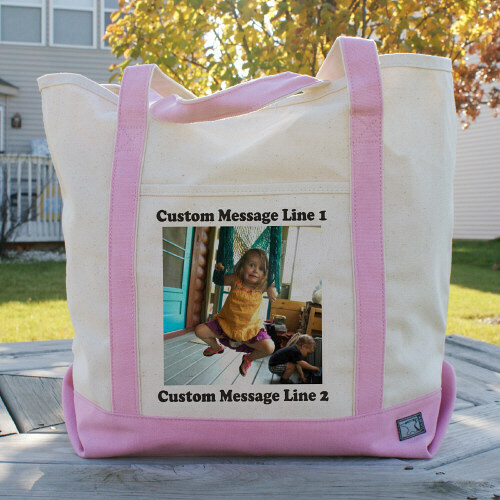 Personalize your Personalized Photo Tote Bag with up to any 2 captions (one above photo and one below photo), choose between 10 different colors for the text. Or have no caption at all & let the photo do the talking. Recommended pixel resolution (dpi) is at least 800 x 800. Bag is nice. Note - if your photo is not the same width as what is available it will have a black line on either side. This was apparent from the on line order, so I picked black straps and it looks great. Nice bag..nice picture quality. My daughter will love it. Loved it. It was a gift for my mother.It was meant to be used as a bingo bag and she enjoys it very much. 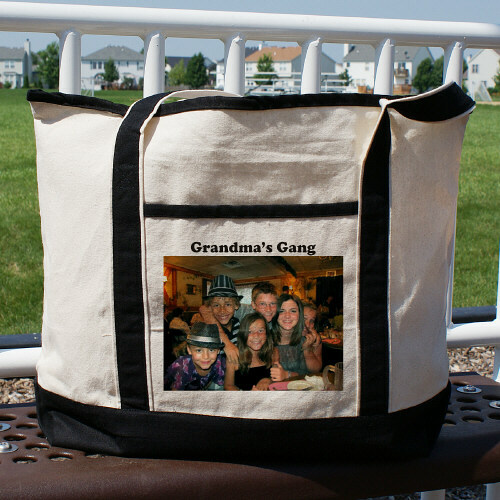 GiftsforYouNow.com offers a large assortment of Personalized Canvas Tote Bags for Grandma, Mom, Sister & Aunt. Create a Personalized Gift just for them for their birthday, Mother's Day, 4th of July or Christmas.